A new roof is perhaps one of the most financially daunting home improvements. However, given the protection that a roof provides to your home and family, as well as to all of your stuff, the investment is well worth the cost. Get the most for your money when replacing your roof by searching for a contractor that offers a reliable warranty on the work. While 30-year warranties are most common, some offer 50-year warranties or even lifetime warranties, like the warranty offered by Champion Home Exteriors. When considering your roofing options, make sure all contractors you get bids from are including sufficient leak protection as well as the installation of proper attic ventilation to help ensure energy efficiency. In order to keep your home adequately protected during the harsh Cincinnati winters, both of these elements are essential, Don’t skimp on ventilation and leak barriers. If you have an older style of single-pane windows in your house, you can save money in heat loss and energy waste by replacing them now. One-third of your home’s heat escapes through windows and doors with poor insulation, according to the Natural Resources Defense Council. 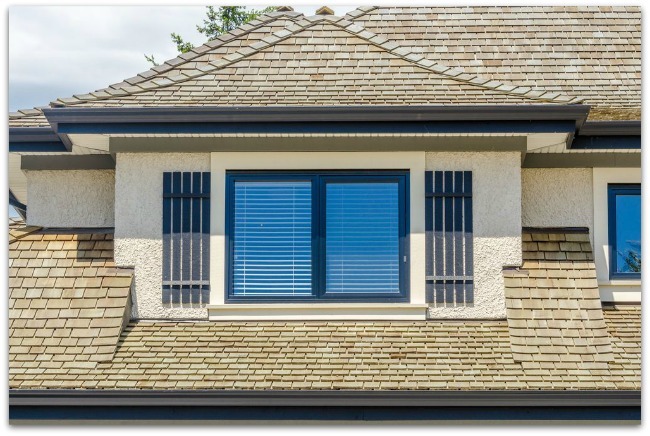 Don’t waste money and energy cooling your house this summer, by upgrading to double or even triple-paned windows that provide more effective insulation from the elements. When window shopping, two important things to pay attention to are the solar heat gain coefficient (SHGC) and the U-factor. The former measures how much sunlight-generated heat gets in through the window, while the latter determines how much heat is escaping from the inside of your home. For maximum energy efficiency, the NRDC recommends windows with both a U-factor and SHGC of .30 or less. Whether burglary is a major concern in your area, it’s worthwhile to upgrade the locks on all exterior doors of your home to be sure that you aren’t an easy target and so you can rest assured that your home is secure. The majority of burglars are not the sophisticated Ocean’s 11-types, picking locks with precision. Instead, most burglars kick down a door or break a window to gain entry, according to home experts at Consumer Reports. To prevent this, strengthen all exterior doors by adding a reinforced metal strike box and a sturdy deadbolt that is at least an inch long. In a test by Consumer Reports, the hardiest lock was the Medeco Maxum 11WC60L. When it comes to “set it and forget it” home improvements, it’s hard to trump the smart thermostats on the market now. Self-programming thermostats — like the Nest or the Lyric (by Honeywell) record your personal preferences to tailor and automatically adjusting temperature schedule to keep your home the temperature you like it at all times. There’s even an Auto Away function and a smartphone app so you can keep your thermostat in check even when you are not at home.